Alice Alessandri and Alberto Aleo work well as a couple in both life and work. After more than fifteen years of experience in business, in 2011 they founded a consulting and training agency for sales management, marketing and leadership. Their agency, Passodue, which is based in Italy and liaises abroad, is in itself an example of ethical business that combines professional and personal interests, blending them together to boost well-being and quality of life. 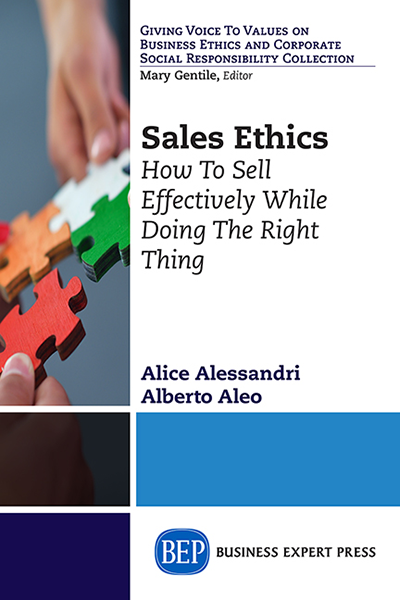 The research that forms the basis of Sales Ethics was spread over two years and involved more than 1,000 salespeople from more than 50 different companies.